Governors are the head of the states in India. At the state level Governors has the similar power as the president of India. Indian president appoints the Governors for a period of five years. 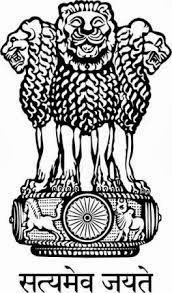 A person is eligible for the post of Governor if he qualifies following terms- 1) must be a citizen of India 2) age should be greater than 35 years 3) must not be a Member of Parliament or state legislature 4) must not hold any office of profit. Governor of a state can be removed from his post only by president of India on the recommendation of Prime Minister. Governor ranks fourth in the Indian order of precedence after the President, Vice President and Prime Minister. Governor appoints the chief minister of a state who has the majority of support in Vidhan Sabha. He appoints the Council of Ministers on the recommendation of the chief minister. President appoints the judges of the high court in consultation with the Governor. Governor appoints the judges of the district court. He also appoints the advocate general of the state, vice- chancellors of state universities, chairman and members of the state public service commission. He address first session of the state legislature after election and at the beginning of the new session. He has the power to dissolve, summon the state legislature. A bill passed by the state legislature can only become law if governor approves it. Governor can return a bill for reconsideration. But if the bill is passed second time in the state legislature than governor has to approve it.